Fall is right around the corner and even though the weather is still quite warm here in the South, (it was in the 90's when I took these photos!) I am already adding some new Fall pieces to my closet. 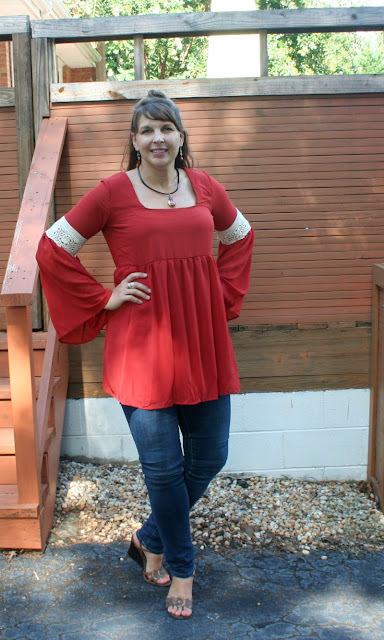 This Pumpkin Spiced Bell Sleeved Tunic from Pink Blush is perfect for Fall! 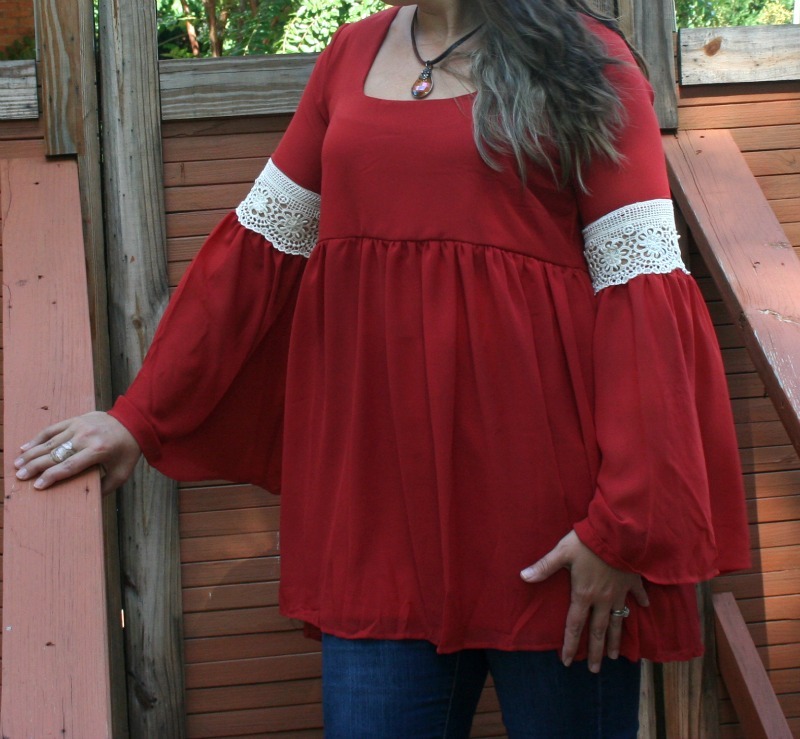 This trendy top is gorgeous with the crochet detail on the bell sleeves. 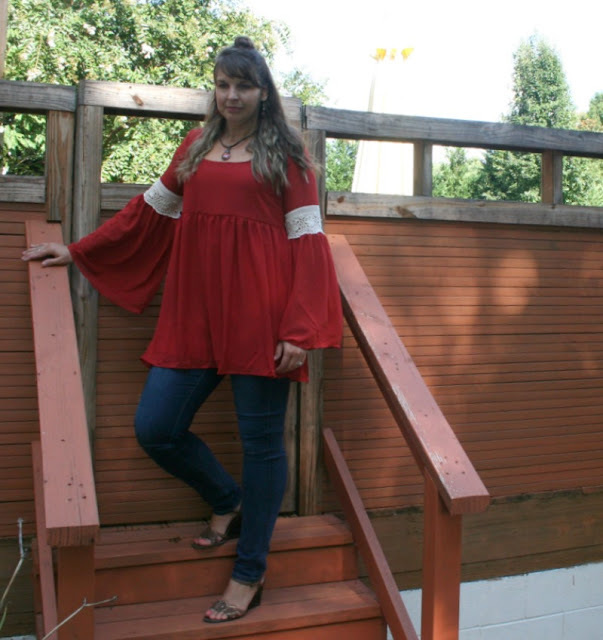 It is the perfect piece to pair with jeans and booties or leggings and boots! I am wearing it with skinny jeans, wedge sandals, and accessorizing with a beautiful stone pendant on a leather cord. I cannot wait for the weather to cool down so I can style this different ways! Are you ready for cooler weather? What pieces do you want to add to your closet this Fall? Disclosure: The top in the post was provided to me as part of the Style Ambassador Program, but all thoughts are 100% my own. I love the color of that bell-sleeve tunic and how you described it. I cannot believe it is almost Fall. =( I am not ready for Summer to end! 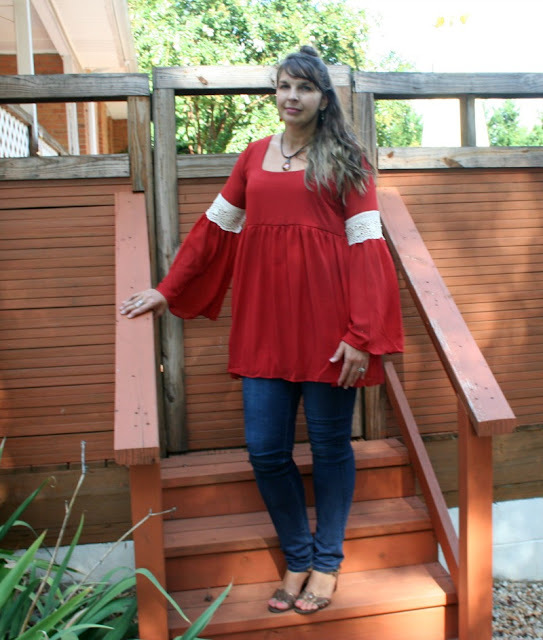 Welcome by and join my linkup this week and share your awesome style! A new linkup goes live every Thursday. Happy weekend!! Isn't the color perfect for fall? Thanks for commenting! The pumpkin spice color looks fabulous on you! Love the crochet detail on the sleeves! Thanks Jill! Its so pretty isn't it!? 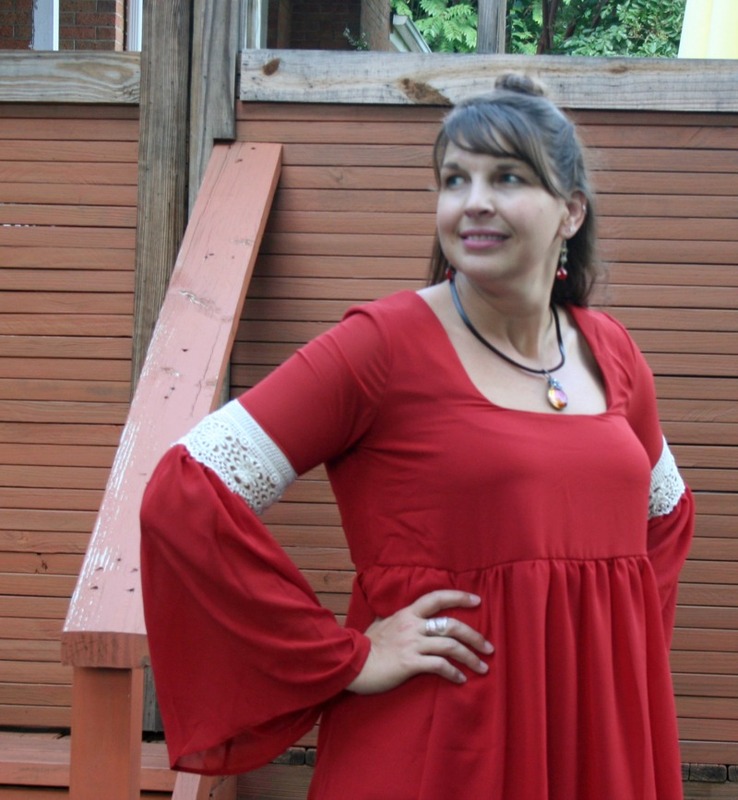 This is a fabulous tunic. Wonderful sleeve details and perfect color for fall! It looks great with your jeans and sandals. Your stone pendent was the perfect choice for this neckline. Thanks for linking up with Fabulous Friday! Thank you! I am sure this will be on repeat all season and yes, the pendant was perfect! I feel like this color is so unique, and perfect for the coming Fall (my favorite!) - I also like how this flows out - I'd dig it now because I'm a bit body conscious. I do not own much of this color, but it's so pretty and I think it would look great on you! I like the color and style. It looks great on you! Thank you! I am in love with the sleeves!